Main customers: India Glycols Ltd., Covestro India (Formerly M/s Bayer Material Science), Lanxess India, Jubilant Life Sciences, Siddharth Grease & Lubricants., Shakti Appi Foods Pvt. Ltd., Kejriwal Bee Care India (Pvt.) Ltd., Henkel Anand India Ltd., Uflex Ltd., Kansai Nerolac Paints Ltd., Shalimar Paints , Yushiro India Ltd., Akzo Nobel, IOL Chemicals etc. Certifications available: ISO 9001:2015, ISO 14001:2015 & OHSAS 18001:2007 from DNV.GL and TFS from DQS India. Significant milestones: Commercial production of Bitumen Drums started on 10.10.2007 and Lube Barrel on 12.08.2008 in a phased manner. Commissioning of a new energy efficient imported welder was done in July 2012. CSR/Green initiatives: 1. Construction of Toilets for Boys & Girls at Government Middle School at Village Dhundsa, Distt. Palwal & maintaining its day to day cleaning. 2. 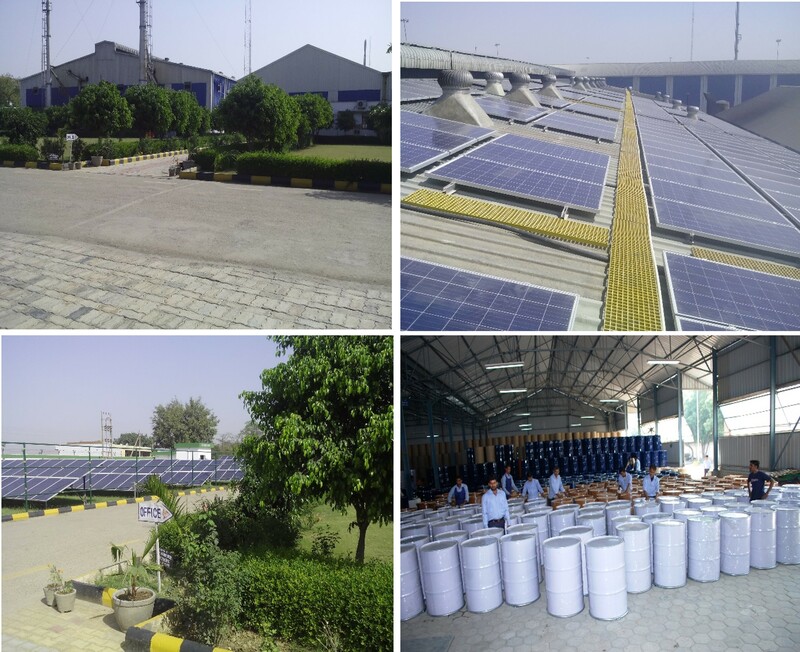 Commissioning of 230 KWp Solar Power Unit. 3. 11 KV Independent Feeder from DHBVN for Power Supply to the Plant. 4. Use of an Energy Efficient Auto Welding Machine for welding to manufacture drums and Barrels. 5. Use of LED Light in the plant. 6. Its house-keeping and green/plantation drive has always been appreciated by its customers, visiting personnel. Significant Achievements: 1. IP-Asaoti obtained highest score in the company continuously for three years during FY 2014-15, FY 2015-16 & FY 2016-17. 2. IP-Asaoti obtained 200 out of 200 in TFS audit conducted by DQS India.